Are you a daily runner? A committed marathoner? Are you seriously into cycling? 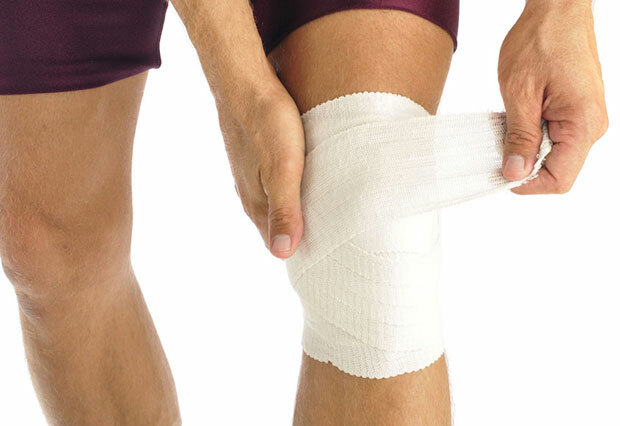 Dr. Rick has seen many patients with knee problems caused, or at least made worse, by wrapping the knee too tightly. “Joints are made to move, of course,” says Dr. Richard Tavares DC – Dr. Rick the Chiropractor – and wrapping them properly can prevent them moving too much, keeping them from popping out of alignment. But be careful. “Wrapping a joint too tightly can force a joint into a fixed position causing pain, swelling, and, for serious athletes, a reduction in performance,” says Dr. Rick. “My recommendation for wrapping knees is to always allow enough ‘stretch’ so that you can insert a finger under the wrapping, and slide it from one side of the knee cap to the other,” he says.